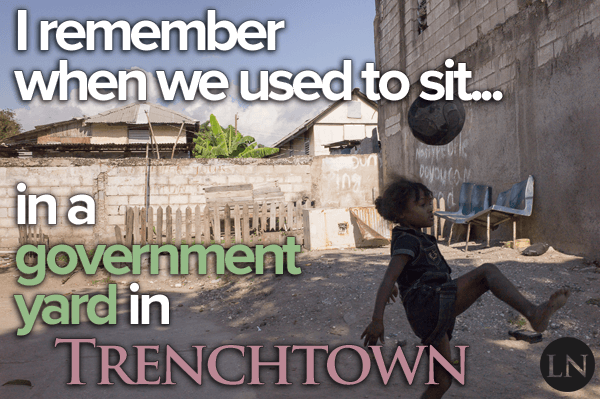 "I remember when we used to sit in a government yard in Trenchtown." Thus spake the memorable line by Bob Marley in his smash single No Woman, No Cry, arguably his most successful hit ever, though I much prefer Wait in Vain. Who can really even choose a favorite from so many perfect songs over such a long career? If you don't know the song we're talking about, let it play in the background below as you finish reading the story. You'll see why it's relevant in a moment. It's hard to believe this song only charted as high as it did, and equally difficult to fathom that you could make as much money as he did with those numbers. But this was back in the day when earning a Gold and Silver certification meant you were selling countless copies and earning countless dollars. That's why it's so amazing that Bob Marley would continually list Vincent Ford as a songwriter on his tracks over the years. The speculation was that this was an attempt to avoid fulfilling a contract with Cayman Music, which may be true, but the less nefarious part of the story is that Marley understood that his music would outlive himself. And that meant the cash would keep flowing, and it had to go to somebody. If you don't specify, the dirty industry businessmen would find a way to keep as much of it as possible. So on No Woman, No Cry, and several other songs, you'll find Vincent Ford's name in the songwriting credits... but he's not a musician, not in the slightest. 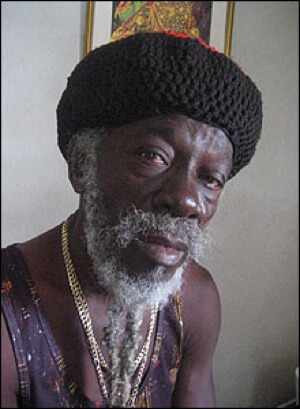 He owned and operated a soup kitchen in Marley's hometown of Trenchtown to support the needy. The ongoing royalty checks were meant to ensure that the kitchen could stay open and continue to benefit the community. No Woman, No Cry has been honored with rank No. 37 in the Rolling Stone's 500 Greatest Songs of All Time. So you can be darn sure that those royalty checks are still rolling in, even with the recent passing of Vincent Ford in December 2008. The soup kitchen continues to thrive to this day. Every time these classic songs play on the radio or get streamed online, a chunk of change makes its way to the people in need in Trenchtown. "Everything's gonna be alright. Everything's gonna be alright. Bob and Vincent lived selfless lives and were catapulted to greatness, which they in turn used to further help those in need around them. If we'd all do such a thing even at a fraction of the level these two guys did, everyone on the planet would be taken care of. Share this good message with your loved ones using the social buttons below! One Love!